Sarah Ellen Hoole was also born in Sheffield, Yorkshire, England in 1866. Sarah and her sister immigrated to Australia together. 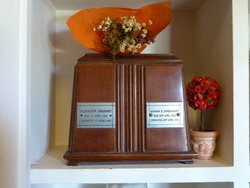 She married Alexander Urquhart in Orange in 1891. Sarah and Alexander had 7 children, and moved the Sydney at some time before 1896 when her second child Charles (who married my great Aunt) was born. 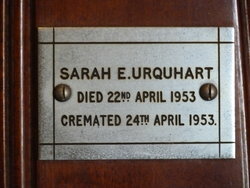 She died in 1953, after her husband, their ashes are together at Woronora Cemetery, NSW.